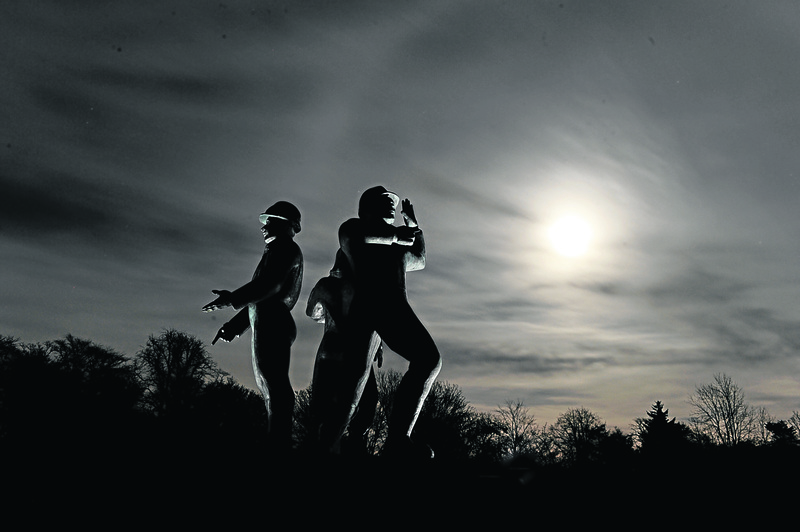 The Piper Alpha Memorial at Hazlehead Park. 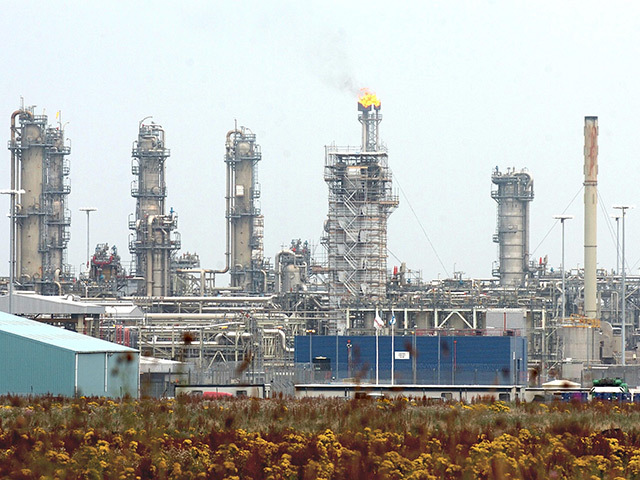 167 men died in 1988 when a leak on the Piper Alpha platform led to a series of explosions. It is a date written indelibly into our history. Just before 10pm on July 6, 1988, a huge explosion 120 miles out to sea from Aberdeen ripped apart the tranquillity of a summer’s evening and with it the lives of 167 men. In the lead-up to the 30th anniversary of what remains the world’s worst offshore disaster, we will look back at what happened, pay tribute to the heroes, catch up with those who were touched in so many different ways and ask what has changed to prevent such a tragedy ever happening again. Life was good for many youngsters in Aberdeen in the early 1980s. The discovery of vast reserves of oil in the North Sea in the previous decade transformed the city away from industries such as fishing and farming and was a catalyst for rapid change in the north-east. At a stroke, as a multitude of companies opened for business in the energy sector, disposable income soared, house prices surged and many people thrived. Pubs and nightclubs, now all long gone, vied for business. There was Sir Laffalot’s on Shiprow – “Go Go dancers, Fri, Sat, Sun”, Radar’s on Belmont Street – “Open 7 Days a Week Til Midnight” – and Sweeepers on Hadden Street, with Aberdeen football star, Willie Miller, prominent at the opening. And yet, while the oil boom brought riches for some, there were others who felt that the rapid expansion was built on a culture of profits before people and silver before safety. Or, as north-east Labour MSP Lewis Macdonald put it: “Prior to the Piper Alpha disaster, there was a Wild West culture offshore. 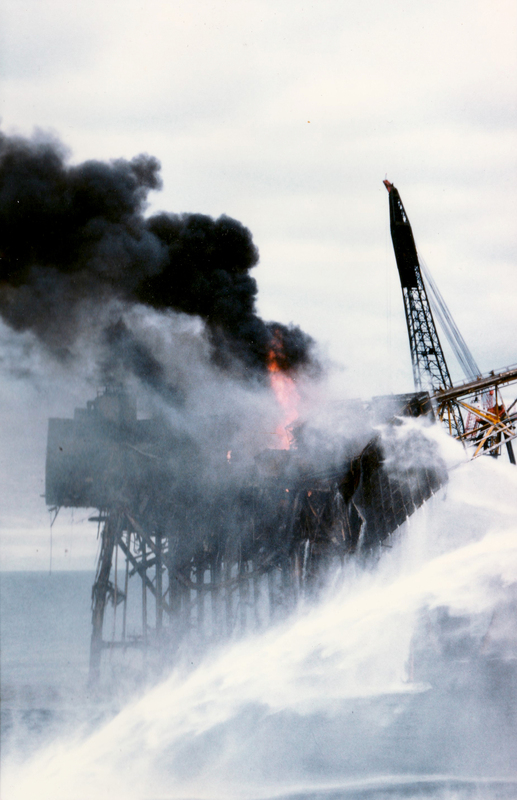 Fire rages on the Piper Alpha platform on July 6 1988.In the mid-1970s, such views were not commonly heard. On the contrary, when Piper Alpha, the giant platform operated by Occidental Petroleum, sprung to life in 1976, it was hailed as the latest chapter in a burgeoning success story. 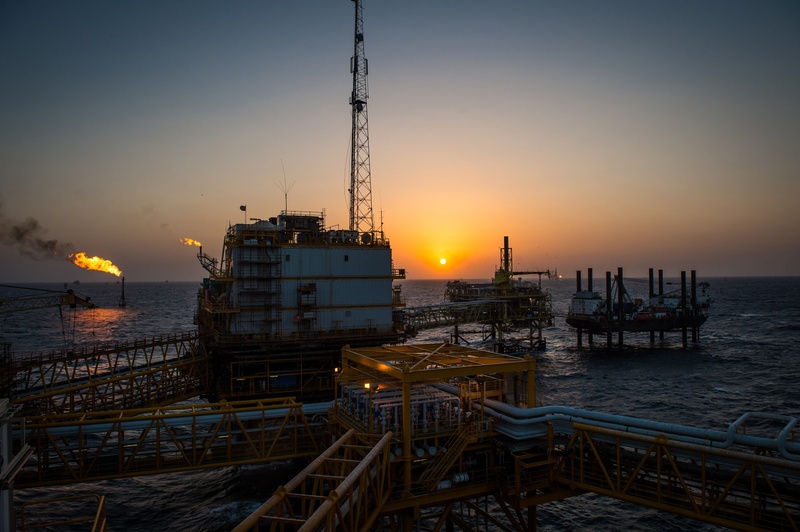 Oil production commenced at the platform at about 250,000 barrels a day and later rose to 300,000 barrels. Very little thought had gone into the question of what might happen if an accident happened far out in the sea, let alone if the combustible fuels created a vast explosion. The Towering Inferno was only a movie, wasn’t it? By 1988, production had declined on the installation to 125,000 barrels a day. But Occidental continued to plough ahead with major construction, maintenance and upgrade works. Despite the complex schedule, and fears expressed by trade unions, the firm made the decision to continue operating the platform and not shut it down, as was previously planned. And that perfect storm of system failures and technical problems was directly responsible for the terrible events that happened on July 6 1988. At 9.55pm, on a clear and balmy summer evening, an explosion rocked the platform, gas leaked out at high pressure and six gas alarms were triggered, but not before disaster had been sparked. At the time the conflagration occurred, there were 226 people on Piper. By the time that the awful events had concluded, there were 165 fatalities, with two others killed from the standby vessel Sandhaven. No attempt was made to use loudspeakers or order an evacuation. The emergency procedures instructed staff to make their way to lifeboat stations, but the fire prevented them from doing so. Instead, many of the men obeyed orders from on high and moved to an area beneath the helicopter deck to await further instructions, which never came. Nor did the helicopters, with wind, fire and dense black smoke preventing the aircraft from landing anywhere near the rig. As the crisis mounted, two men donned protective gear and attempted to reach the diesel pumping machinery below decks to activate the firefighting system. They were never seen again. By 10.30pm, the Tharos, a large, semi-submersible firefighting, rescue and accommodation vessel drew alongside Piper Alpha. It was accompanied by several small boats, whose crews did their utmost to retrieve casualties and bodies from the water. In other circumstances, the original fire might have gradually diminished or been extinguished. Yet, in this instance, the nearby platforms, Tartan and Claymore, continued to pump gas and oil into Piper Alpha until its pipeline finally ruptured in a second explosion. 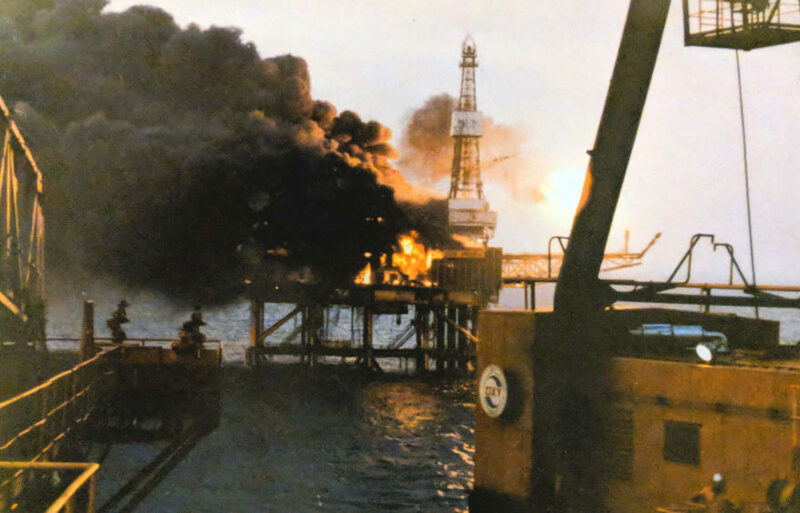 Their operational crews did not believe they had the authority to shut off production, even though they could see that Piper Alpha was being consumed by flames. In the end, the largest number of survivors – 37 – was recovered by the Silver Pit. Some men had incredible escapes, while others thought they were safe, only to die in the water. As Lewis Macdonald added: “It was the greatest calamity in the history of the North Sea oil industry, and it also marked the most important turning point. 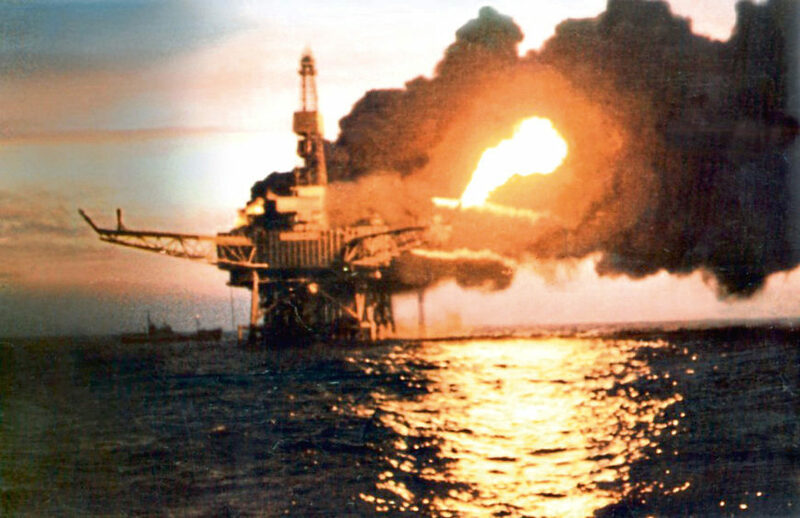 “All those failings in the offshore oil and gas industry contributed to the Piper Alpha disaster, and after it happened there was a determined campaign to make sure it could not happen again. “The Piper Alpha Families and Survivors’ Association was set up in a matter of weeks to secure compensation for the bereaved, to obtain justice for those who had died and to put across the views of bereaved families and survivors at the Cullen Inquiry which followed.